Onboard controls are for basic functions only. Slim on thickness but big on audio. 1080 vertical lines for HD content. Never mind the ongoing finalization of differing HD standards and the divided support from a contingent MNCs. The HD revolution that promises everyone spectacular visuals is still sometime away from taking the centre stage in your living room - but that is not to say you should continue freezing your wallet in replacing that flickering, fish-bowl shaped visual equipment you once proudly prized as your television set. With movies already finding their way onto both HD-DVD and Blu-ray formats, the timeliness of hopping onboard the high-definition bandwagon has never been more current. Already, we have familiar household names throwing ever bigger flat panels at us to tempt us into parting with our savings in exchange for the ultimate optimal viewing pleasure. One such name is Hitachi, a company who has so far been a lonely combatant in its push of its own ALiS technology that organizes pixels in a configuration that's different from all her competitors. 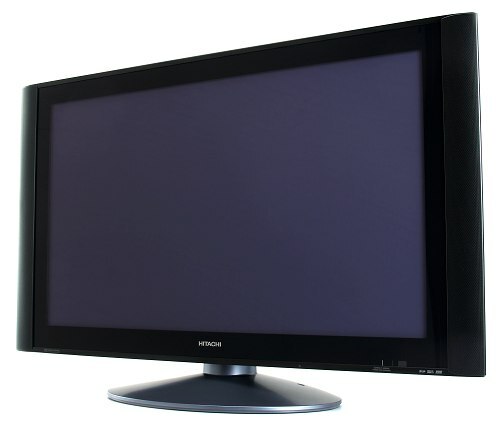 Recently, they have introduced the Hitachi 42PD8900TA, a 42-inch plasma TV that they coined as the “World’s First HD1080 42V Plasma TV". In a world of cheap plastics, the metal casement and finishing of the 42PD8900TA panel are simply breathtaking. One can't help but admire the silver and black color tones and the intimate attention to details that were successfully united for the panel to project a sense of occasion. Flanking the sides of the 1,024 by 1,080-pixel resolution panel are 10 integrated three-way speakers hooked up to SRS WOW technology, arming the panel with virtual 3D surround sound capability without elaborate 5.1 speaker setup. Add to it the latest BBE Digital technology and the 42PD8900TA is all poised to deliver clear and punchy audio at almost any audio level – thanks to a pair of dual-channel built-in subwoofer. Shutterbugs will be happy to learn that high-resolution Hitachi panel can also be used as a visual platform to share pictures with loved ones. 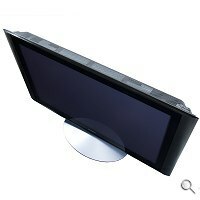 At the side of the plasma screen is an SD memory card slot as well as a USB port that users can simply insert their SD/MMC cards or jack in their digital cameras; press the “Photo” button on the remote control; and the panel is instantly a 42-inch photo frame. Not only that, pressing the “Slideshow” button serves up an automated and continuous viewing of pictures with free orientation of up to 270 degrees. Apart from photo viewing, the 42PD8900TA has an added video playback function that supports MPEG-1 and MPEG-4 video files. Although both the photo and video playback functions are fine, the performance was found to be lacking in cleanliness and sharpness. 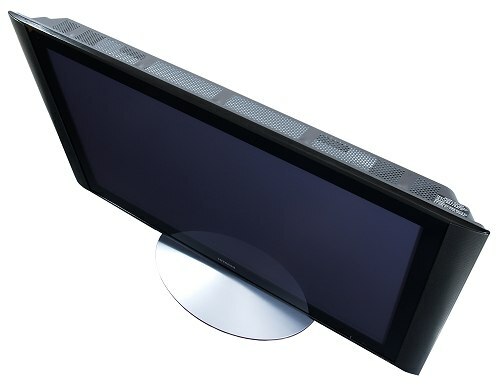 Being a modern high-definition display panel means one can expect to find a bevy of input and output connectors at the rear of the 42PD8900TA. Regular connectors include a D-sub input, a Component video input, an S-Video input, a Composite video input, RCA stereo audio input and output jacks, a Composite video output, a PC audio input, and a headphone jack. HD compliant sources on the other hand can be easily jacked in via a pair of HDMI (High-Definition Multimedia Interface) ports, an interface supported by the industry for all digital audio/video sources. 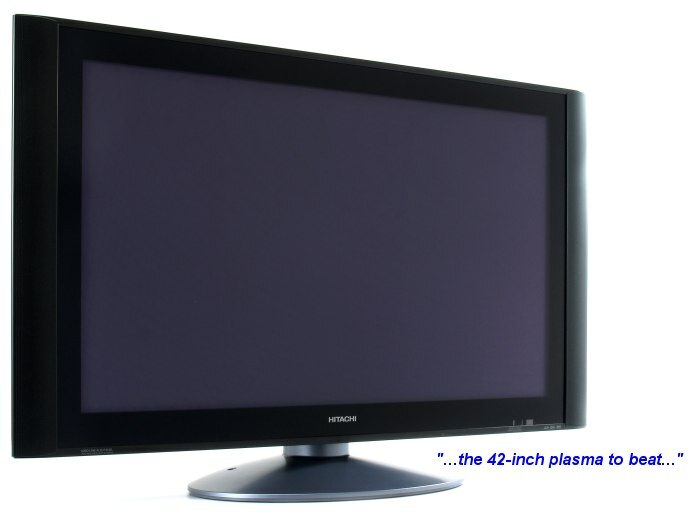 Visual performance of the Hitachi 42-inch plasma TV is anything but ordinary. With an astounding albeit odd configuration of 1024 by 1080 pixels, 1080i HD content was properly drawn without any noticeable quality blemishes. Playing both HD and SD content summed up the video performance as expected of Hitachi’s ALiS (Alternate Lighting of Surfaces) screen and an impressive contrast ratio of 4000:1. It really wasn't difficult to conclude that the 42PD8900TA is a better choice than a lot of other plasma TVs on sale today. Analog TV signals came back clean and crisp, and colors were brilliantly rendered for various Xbox 360 titles. Through the "multi-picture" function, there's no stopping users from partitioning the 42-inch screen into 12 smaller screens for reviewing favorite channels and selecting the one that appeals to your interest the most. Moving into usability, the on-screen menu system of the Hitachi TV is very comprehensive to say the least. 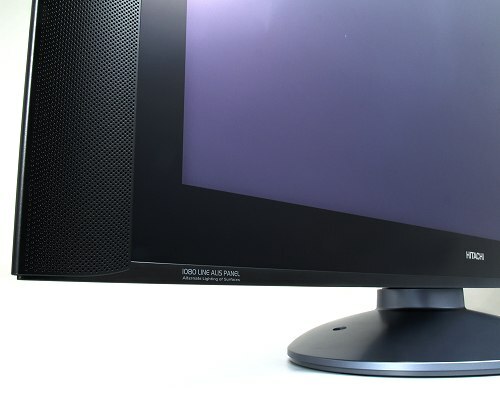 Users can not only adjust typical settings such as brightness, contrast, audio and aspect ratios, but can also choose to better visual experience via noise reduction, sharpness for separate picture and color signals (labeled as YNR/CNR/LTI/CTI), color temperatures, balances and decoding tints for individual colors with ease. The optional remote controlled motorized swivel base adds even more viewing versatility by allowing a maximum 30-degree rotation that goes both ways. 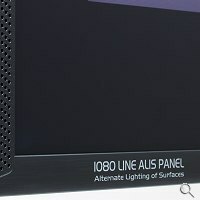 As impressive as the Hitachi 42PD8900TA is, it's unfortunate that there is currently no 1080p broadcasting to really give the panel a good run for its money. So whether or not the Hitachi 42PD8900TA can process 1080p signals is still a question waiting to be answered. However, with an excellent balance and saturation of colors, smooth edges and gradients, high resolution, great speaker output, a pair of HDMI ports, and an exhaustive connectivity option comprising of SD/MMC card reader and an USB port for stills and videos, it's easy to see why the Hitachi 42PD8900TA is, in our book, the 42-inch plasma to beat for upcoming HD plasma TVs of similar size. Connections: 2 x HDMI port, D-sub input, 2 x Component Video inputs, 2 x S-Video inputs, 3 x Composite Video inputs, 5 x RCA stereo audio inputs, RCA Stereo Audio output, Composite Video output, PC Audio input and Headphone jack.